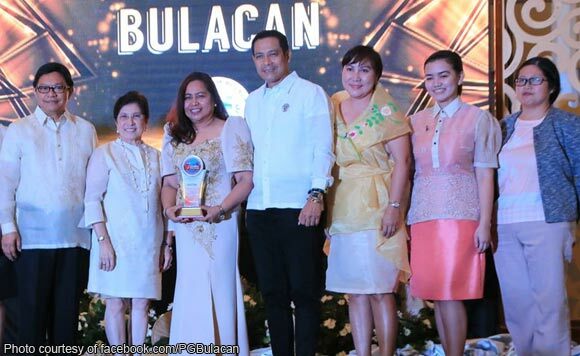 Governor Wilhelmino M. Sy-Alvarado said Thursday the province received the Malaria Excellence award, which is a major citation, during the 7th Central Luzon Excellence Awards for Health (CLExAH) held at the Royce Hotel, Clark Freeport Zone in Pampanga on Tuesday. The municipality of Angat and the CSJDM received the Governance for Health Internal Management Support (Local Health System Award); Hagonoy and Plaridel were recognized as top performing municipalities for TB Prevention and Control; while Hagonoy and CSJDM were awarded for their Mother-Baby Friendly Health Initiative. The recognition for regional voluntary blood program on achieving 1 percent blood collection from the total population was given to the municipalities of Plaridel, Angat, Pulilan, Balagtas, Baliwag, and San Ildefonso.